We have been pretty spoiled these past few months because of some spectacular skywatching events. And now the Cosmos is doing it again, with the Leonid meteor shower climaxing on 18 November. The good thing meteor shower is that it can be seen easily from almost all parts of the Earth but the timing lines up perfectly for those in the US. Folks in US can easily see about 15 meteors per hour between midnight and dawn on Wednesday morning. Leonid meteor happens when Earth moves over the dust sprawling behind the comet Tempel-Tuttle, and minor pieces of debris – approximately around the size of a pea – burn up in our atmosphere. Leonid Meteor Shower is also the fastest meteor shower that we come across here on Earth, with remains of space dust striking our atmosphere at an incredible 254,276 km/h (158,000 mph). So if night sky is clear at the night of meteor shower, you’re going to have a quite a great view, as the Moon will only be a waxing crescent and will leave skies pretty dark. 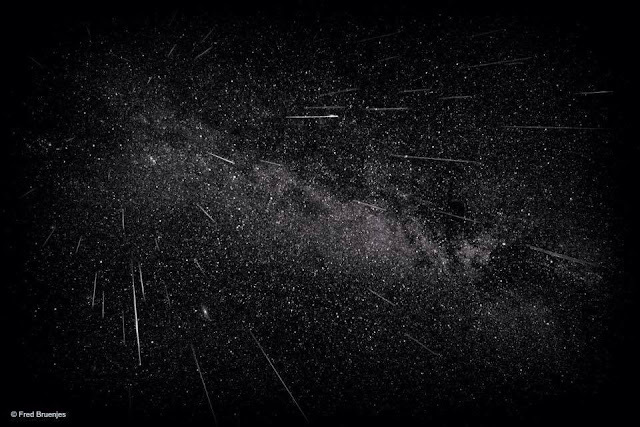 You can also watch Leonid Meteor Shower live on Slooh online.